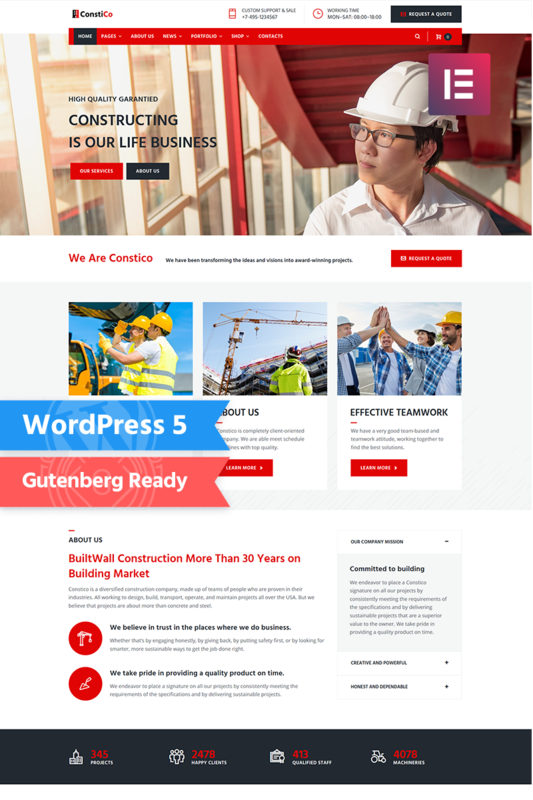 Perfectly equipped theme ready for use in Construction is Constico! Crafted with attention to details and functionality this theme contains a bundle of top-notch plugins which enhance your website with various features. 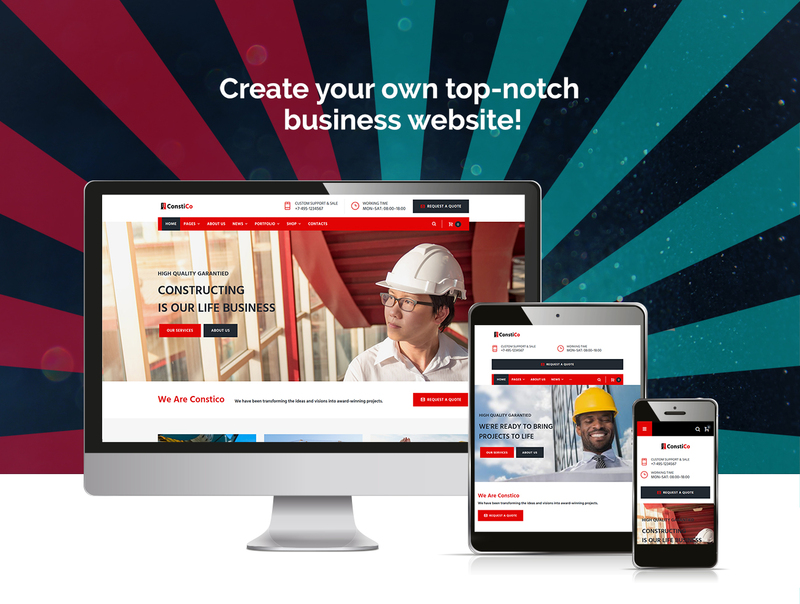 With Constico you will be able to manage and customize your content with powerful drag and drop Elementor page builder. It allows setting up information without any coding skills. 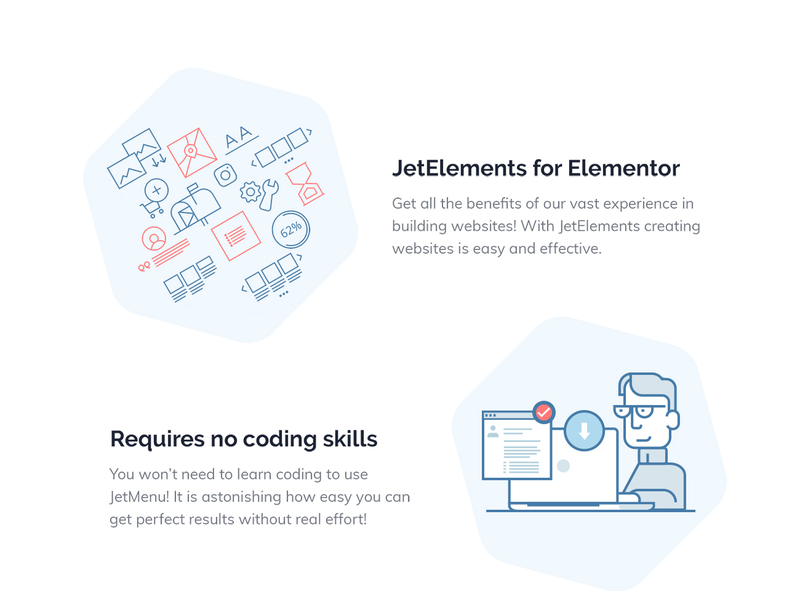 The theme also contains JetElemets addon for Elementor, which adds various custom blocks to your websiteâ€™s page layout, containing additional modules, not included in the standard Elementor page builder elements package. You will also find JetMenu plugin and create your own custom Mega menus within few clicks! 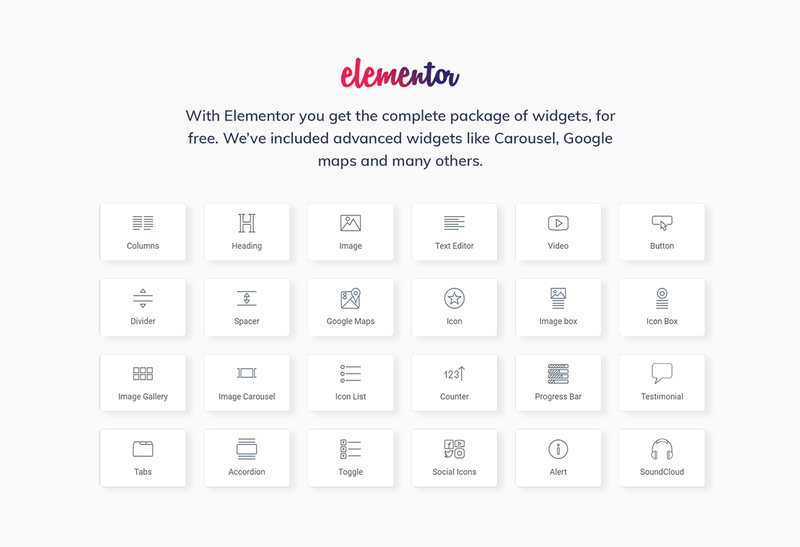 Just awesome template with many plugins. And support is - as always - quick, easy and complete so that there are no questions open. Good template, easy edit and add information. I recommend it! Excellent Elementor integration. Well thought out structure and easy to use. Great theme! It is exactly the same and I have not had any problems with it.